Chicago’s Near South Side neighborhood – 22nd & Clark St. 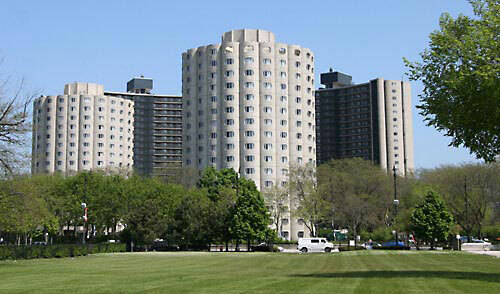 Originally completed in 1966, this Bertrand Goldberg-designed development was renovated starting in 2002. Due to its unique and exceptional design, the buildings were listed on the National Register of Historic Places in 1999. The Laubacher Company was the bond underwriter and developer’s structuring agent for the project. Laubacher created numerous alternative bond plans to meet the 50% test to qualify for 4% LIHTC. Laubacher worked closely with potential syndicators and developer’s counsel to obtain the best deal economics. We crafted a program of short-term LIHTC “bridge bonds” secured by PHA Capital Funds, a structure that has been a template used repeatedly for other revitalization sites. The Laubacher Company saved the project $1.3 million in interest expense through its innovative bond finance structure.